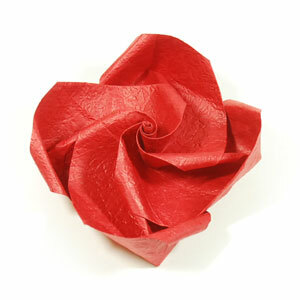 This page is for those who want the instructions to make an easy Valentine's origami rose flower. 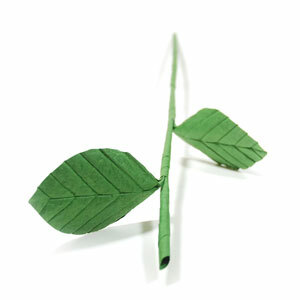 Here you can make a complete rose with calyx, stem, and leaf. This is an"Lovely Origami Rose". You can use "Pretty Origami Rose". 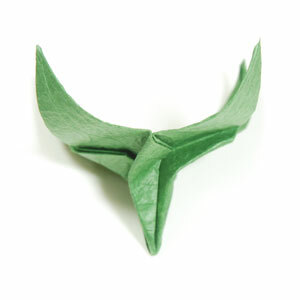 This is a Superior Origami Calyx that I am using here but you can use any other calyx. Be aware of paper size depending upon rose you are using. 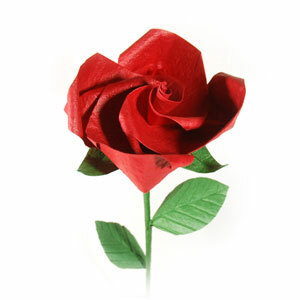 Since we are using "Lovely Origami Rose", we need to use a larger paper for the calyx. This is a Hollow Origami Stem.